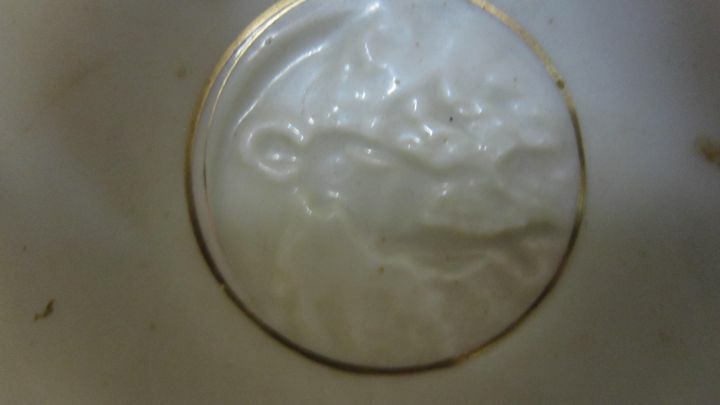 This is one of the teacups that my Gramma Mourton left me. It’s from the forties or earlier. 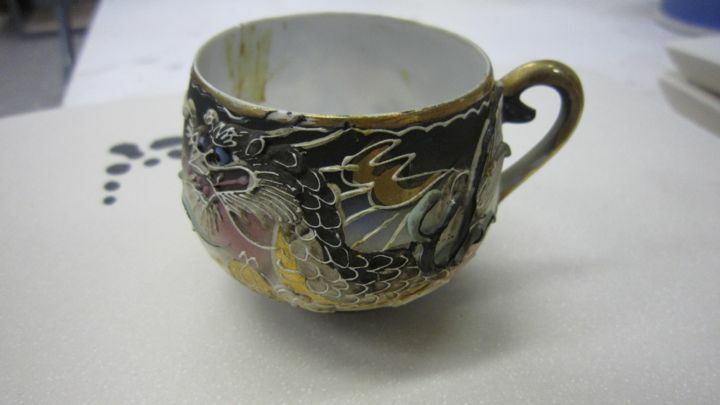 As you can see, it’s been repaired–Gramma used to tell me that, in a family of four boys, this cup was extremely popular for show and tell. I’m not sure if the glue would have oxidized like that on its own or if the particular atmospheric environment played a part. My grandmother was a heavy smoker for years and I feel this had to have something to do with the discoloration. 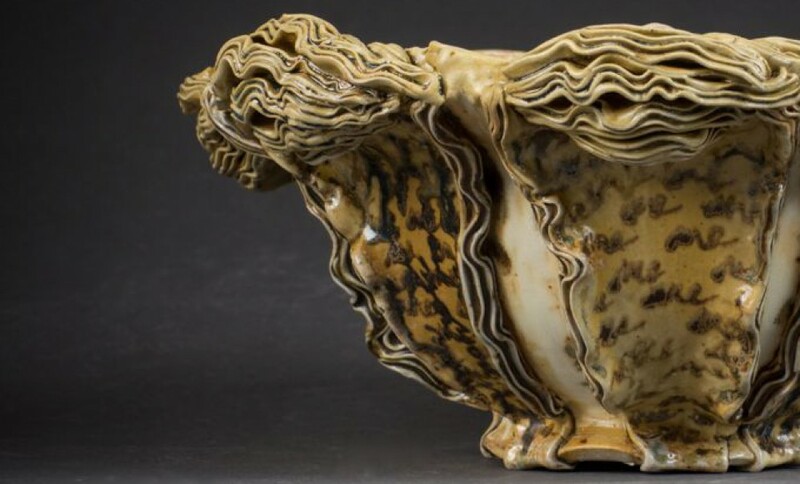 Anyway, with lithophanes being all the rage, I thought I’d bring this little beauty in to the studio as an interesting historical example that people could examine in person. 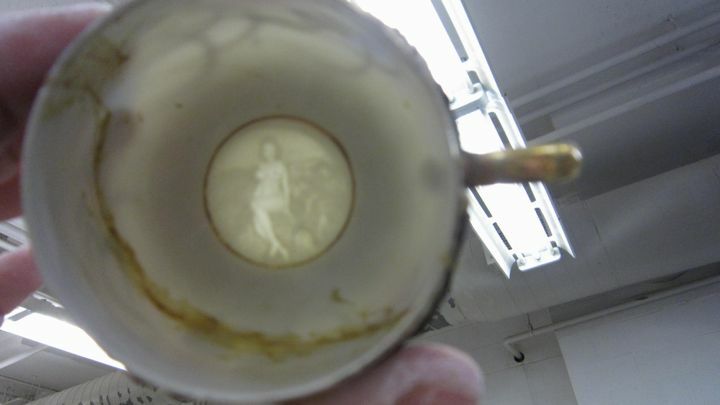 This entry was posted in studio research and tagged antique teacup, lithophane, pinup girl, research by saramourton. Bookmark the permalink. They weren’t technically “allowed” to drink out of or use the cup but that didn’t stop them from showing all of their friends. You know how it goes . . .